We are thrilled to announce our collaboration with the students at UCLA. 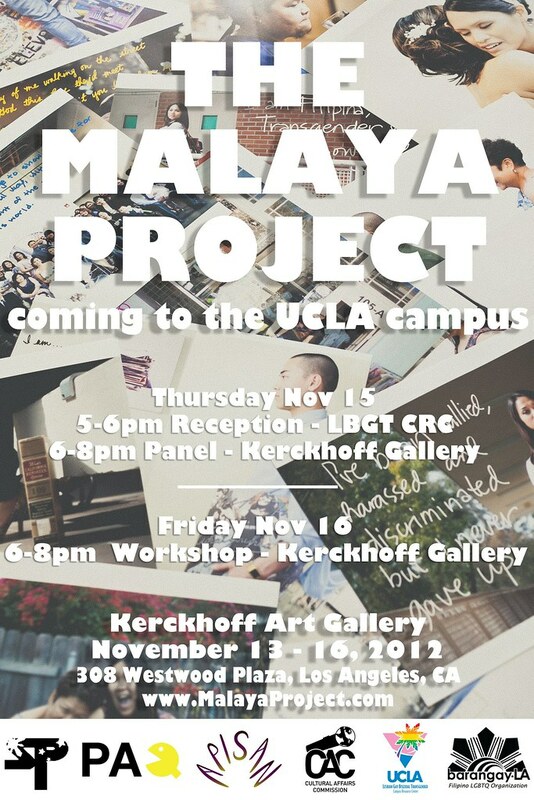 For one week, UCLA will host The Malaya Project at the Kerckhoff Art Gallery and have a two night event. On Thursday November 15 there will be a reception and an interactive panel and on Friday November 16, we will have an interactive workshop with a special feature. So please join us! Can't wait to meet you!